This page contains a translation into English of the lyrics to the Greek hit song "Τα μαύρα μάτια σου" ("Ta Mavra Matia Sou"), which was made popular by Manolis Aggelopoulos. Also included is a pronunciation guide for the Greek lyrics so you can sing along if you like. The song "Ta Mavra Matia Sou" is considered the anthem of the Greek Romany people (Gypsies), and is one of the top songs ever for all Greeks to use for dancing Greek tsiftetelli. Song lyrics are provided for educational purposes. If you like the song, please purchase either the album or a download from an authorized source. 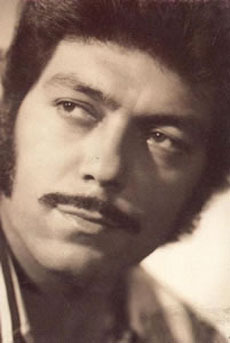 Manolis Aggelopoulos was a Greek legend. He was born in 1939 in northern Greece, to a Romany family. As a child, he traveled throughout Greece with his family's caravan selling everything from carpets to watermelons. The caravan trucks contained a microphone, so young Aggelopoulos broadcast his singing over the loudspeakers along the way. His big break came in 1959 when he recorded his first 45 rpm vinyl record, bringing the mix of Greek-Gypsy-Arabic fusion into the Greek music scene. For Greeks and Greek-Romany he was a superstar. His funeral in 1989 was massive, and people cried for 3 days. ke tin kardia mu sigklonizoune. and my heart is broken. kapia agapi mu palia. of an old love. ekini pou anikse sta stithia mou pliges. she who opened wounds in my chest. Ta mavra matia sou m'anaboun pirkagies Your black eyes are setting me on fire. 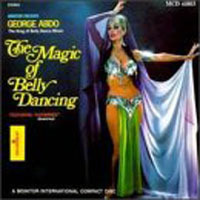 This version is the same as the version that appears on The Magic of Belly Dancing by George Abdo. 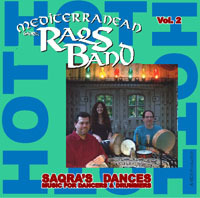 This version is the same as the version that appears on Belly Dance! 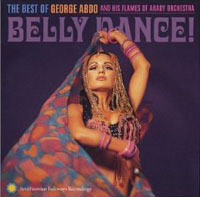 The Best of George Abdo & the Flames of Araby. This translation was created by Maria Aya.